Picture getting behind the wheel of your new car, putting your destination into your GPS, and then taking a nap as your vehicle safely transports you there. Driverless vehicles have been featured in movies for some time now, but seeing them on our roads is completely different. While self-driving technology sounds convenient, it’s not yet a foolproof alternative to human drivers. The safety of self-driving cars is hotly debated. The technology used in self-driving cars is thought of as being less prone to error than a human operator, which would make them safer than a traditional car. On the other hand, there have already been reported accidents with self-driving cars. This raises some questions: Are autonomous vehicles truly safe? If self-driving cars aren’t safer than traditional cars, what’s the point of all this technology? Let’s explore the issue. While self-driving cars seem futuristic, many of them aren’t 100 percent driverless; instead, they have different self-driving features. Some of the safest cars of 2018 included systems that enable features like blind spot detection, rear cross-traffic alerts, lane change assist, and lane departure warnings. Such cars may keep you from making an unsafe lane change or warn you if there’s an object behind you when you’re in reverse. You may also have a car that will auto-brake if there’s something in front of you. Understanding the level of automation helps us determine who is responsible for an accident — you or the car maker. Google began working on self-driving car technology in 2009 with its Waymo project. The original goal was to launch a fleet of self-driving taxis in 2018, but testing is still being done. Thus far, the public hasn’t been thrilled with the results. In 2018, Toyota and Uber partnered to create a self-driving car strategy. Tesla has created an artificial intelligence chip that improves the processing power of self-driving vehicles. Ford is involved as well, but they’re taking a slower approach. Instead of trying to be the first company to perfect self-driving technology, they’re carefully developing autonomous vehicles to ensure safety. Self-driving cars and cybersecurity go hand-in-hand, and cybersecurity experts may largely define the future of the autonomous driving industry. Professionals can ensure that this technology is safe, particularly from cybercriminals. Self-driving cars can be hacked, which means that cybercriminals have a new way of wreaking havoc: They can take control of the car and cause accidents. According to CNN, one pedestrian is killed by a car every 90 minutes in the U.S. Self-driving cars aren’t more risky to pedestrians or cyclists than traditional cars — at least according to experts. 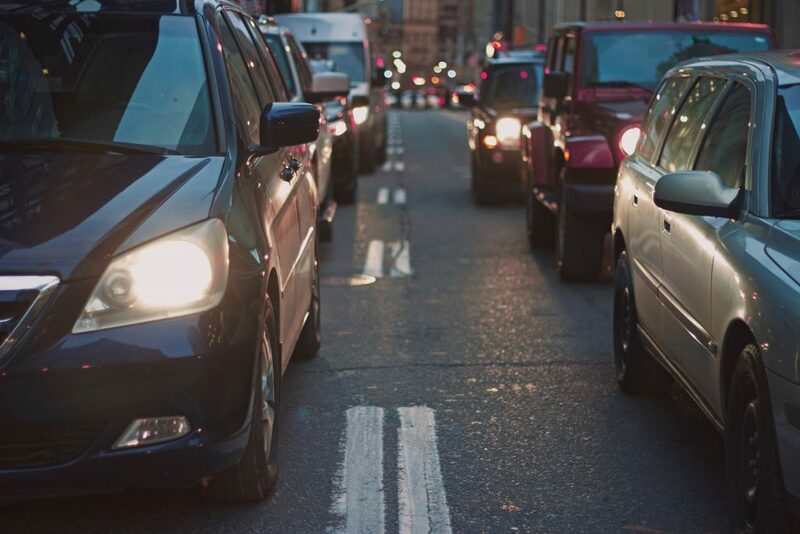 Some would argue that a human driver might expect a pedestrian to possibly step out into traffic and could therefore make faster decisions than a self-driving car. Right now, self-driving cars aren’t safer than traditional cars across the board, especially when it comes to less-than-perfect conditions. The sensors on an autonomous car may have difficulty sensing the road during certain lighting conditions or when snow covers the road. When there’s limited visibility, experienced drivers will be able to navigate more safely than self-driving cars. Where self-driving cars have an edge is regarding traffic laws; they don’t drive over the speed limit, get distracted, drive under the influence, or fall asleep behind the wheel. This is where this debate gets tricky. On the one hand, some experts say that self-driving cars aren’t any less safe than regular cars. Conversely, some studies have found that self-driving cars are, in fact, more prone to accidents than traditional cars. Self-driving vehicles have 9.1 crashes for every million miles driven, versus 1.9 crashes for traditional vehicles. While injuries sustained in these accidents tend to be less severe, the overall number of crashes is much higher. Car accidents with self-driving cars aren’t cut and dry. While there may be more accidents with self-driving cars, the legal system still has to consider who is at fault. For example, a driver in Florida who used the Tesla autopilot system was killed in a truck collision that the car did not see coming. You would assume that the manufacturer would be responsible because autopilot didn’t function properly, but the fault was actually the driver’s because they opted to use autopilot. For the public, this is a scary notion — the technology we are expected to depend on is still not entirely trustworthy. Self-driving cars will continue to evolve. For anybody who will be on the road or who is considering buying a self-driving car, it’s important to keep up with industry news. At the moment, though, driverless cars aren’t going to be overtaking our roads as soon as we thought. The more self-driving technology there is, the more automobile and tech companies will have to test them, learn from their mistakes, and make necessary fixes. In the meanwhile, exercise caution when considering autonomous cars and be sure to read up on safe driving tips to keep your family safe.